A Division bench of the Allahabad High Court has delivered a split verdict on the question of discharge simpliciter of fifteen probationary judicial officers, who were removed in 2014 for being involved in a drunken brawl at a local resort. While Justice SS Chauhan opined that the officers being young and inexperienced, should’ve been given another chance, Justice Rajnish Kumar upheld the discharge order. The matter has therefore been referred to the Chief Justice for the nomination of a bench to adjudicate on the same. The fifteen petitioners were appointed as Civil Judges (Junior Division) in May, 2013, and were on a probation for a period of two years. While they were posted in different districts in the State of Uttar Pradesh, an induction training programme was organised for them at Judicial Training and Research Institute, Lucknow from 9 June, 2014 to 8 September, 2014. A day before their training was supposed to end, the petitioners went out for dinner, but ended up engaging in a drunken brawl at a local resort. Repercussions followed soon, with the then Chief Justice of Allahabad High Court, Justice D Y Chandrachud seeking a report and directing the matter to be taken up by the Full Court. The Full Court then resolved to discharge the petitioners from service, citing Rule 24(4) of the U.P. Judicial Service Rules, 2001, which allows the Court to recommend discharge of probationers if it feels that the “probationer has not made sufficient use of his opportunities or has otherwise failed to give satisfaction”. The petitioners had now challenged this order, contending inter alia that it was passed without providing them an opportunity of being heard, and that the order was “stigmatic and punitive” as it debars them from joining such services in the future. “Once a person has been appointed as a Judge, he must accept restrictions on his/ her conduct and behaviour which would be viewed as burdensome and onerous by an ordinary citizen. He is required to maintain high standards of conduct. A judge has to act at all times in a manner which upholds and promotes the good name, dignity and esteem of the office of a judicial officer and administration of justice. Justice Kumar further opined that since the petitioners were on probation, a regular departmental enquiry was not required before passing the order of discharge simpliciter. Examining precedents, he observed that in case a discreet enquiry is held to verify facts, the order would not be vitiated merely because an opportunity of being heard was not provided. Justice Kumar also rejected the contention that the order was stigmatic or punitive in nature, noting that the rules have been amended to abolish the provision for debarment from future employment. He took note of the fact that some petitioners had in fact been employed at other institutions, including the judiciary. 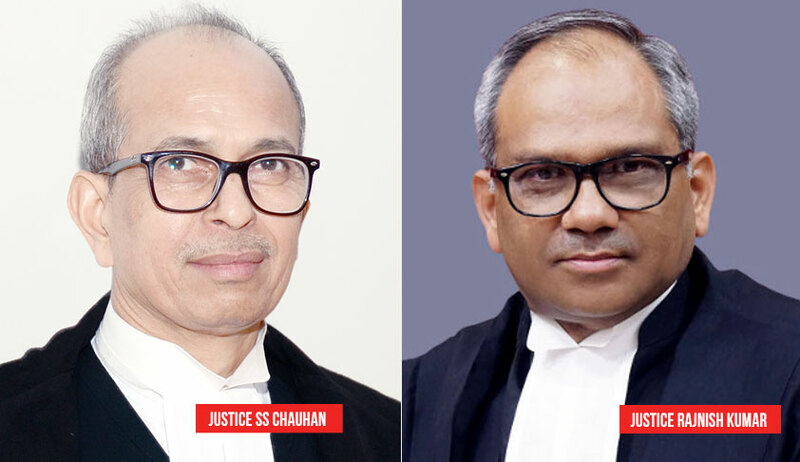 Justice Chauhan further ruled that the order was, in fact, punitive and stigmatic, citing a notice issued by the Karnataka High Court for District Judge (HJS) cadre examination, wherein candidates who had been discharged from judicial service during probation were debarred from applying. He, therefore, allowed the petitions and quashed the impugned orders.